An increased performance engine, the F100-PW-229, joined the U.S. Air Force fleet in 1991. It provides 22 percent greater takeoff thrust for the Air Force's F-15E dual role fighter and for new F-16s (C/D models). The improved version can be installed in all previous F-16 models. Pratt & Whitney is developing an upgraded version of the PW-229, called the F100-PW-229A, which features a larger and more efficient fan. Description: The F110-GE-129 is a derivative of the proven F110-GE-100 providing increased performance, enhanced durability and even greater reliability. New features include a full authority digital electronic control and advanced turbine materials. 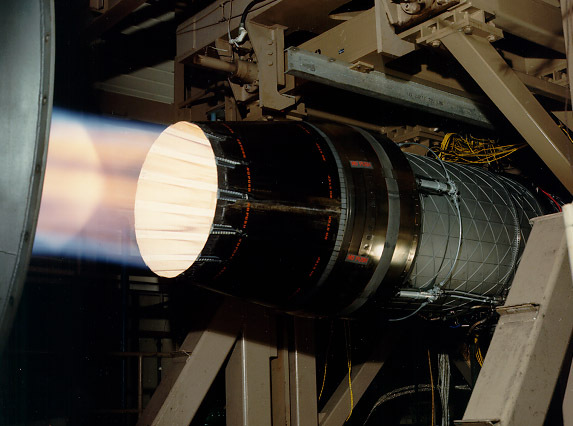 Capitalizing on the success of the F110-GE-100, the -129 retains 84% of that engine’s basic hardware and engine architecture, which were designed with significant future growth capability. Since entering service in 1992, the F110-GE-129 has proven to be the most successful fighter engine in USAF history. Because of the F110 engine’s proven safety track record and heritage of high reliability, the F110-GE-129 has been chosen to power more than 75% of the USAF’s single engine F-16 Block 50/52* aircraft. Having accumulated more than 400,000 flight hours in the Block 50, the F110-GE-129 has established a track record of excellence that is unmatched by any engine in its class. Due to its inherent design and GE’s unyielding emphasis on six sigma quality, the engine has demonstrated unmatched levels of on-wing performance retention. No F110-GE-129 has ever been removed from service due to insufficient performance! The F110-GE-129 has also been the choice of the Turkish, Greek, and Japanese air forces to power their single engine F-16s. 434 production units have been shipped to date. The -129 is also qualified on the F-15E Strike Eagle and recently completed a highly successful field service evaluation on this application.